Skift Mega Trends Report 2017 listed festivalisation of events as one of the mega trends that will impact the events industry. But it seems that in Europe we are one step behind the US in identifying and implementing trends. Only in 2018 it comes our way and sees the wider adoption in the events industry. 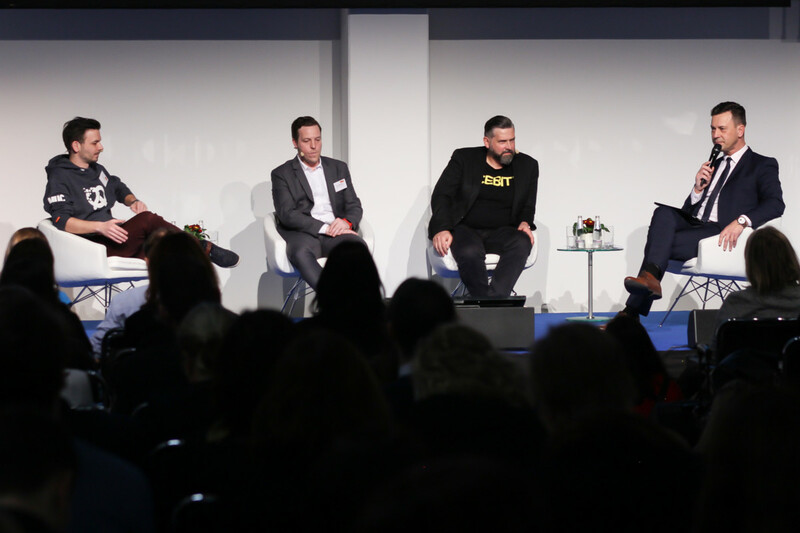 This year at ITB Berlin MICE Forum festivalisation was one of the key topics and welcomed representatives from three German events: Bits & Pretzels, Best of Events International (BoE) and CEBIT to share their experience. These events are very different from each other, but all understand that their audience is looking for a new way of doing business. Therefore, they needed to introduce innovation before they become irrelevant to their target audience. The session was called Create The New: Creating A Festive Atmosphere At Events and speakers were Henrik Bollmann, Project Manager at Best of Events International, Christian Lohmeier, Producer at Bits & Pretzels and Hartwig von Saß, Head of Cebit Press at Deutsche Messe. Mario Schmidt, Owner at SCHMIDTfabrik-medianetwork moderated the session. In this context of “festivalisation” the organiser gives up on the traditional event format and instead offers an informal setting for networking and doing business. But to be more concrete, what does festivalisaiton mean to each of the speakers and their events? When the founders, both also start-up founders, came with the idea to host Bits & Pretzels they wanted to create an event that they would like to attend themselves. They understood the marketplace and wanted to create an event that will appeal to entrepreneurs like themselves. This needed to be an event that they don’t need to go to but want to go to. Does the term festivalisation encompass event and festival in it? Yes, but it also a way to distinguish the event from other events. BoE looked at how to apply the definition of a festival to a (corporate) event. As festivals offer attendees the opportunity to design their own programme, so BoE wanted to offer the same for their audience. Event attendees are not obliged to follow a strict agenda and instead can design their own programme. For CEBIT, applying the concept of festivalisation was like an “open heart surgery”. It was founded over 30 years ago and it became harder to appeal to the younger generation. The organisers turned the concept upside down by “questioning everything” and leaving only the name CEBIT and host city Hannover. To start the rebrand and identify market needs they invited 25 people who have never been to the CEBIT and asked them the question “what does it mean to them digitalisation in 360° and what’s the future outlook of a digital event?”. The organisers took the feedback on board and applied to the new event that will take place this June, for the first time with the new concept. It was a challenge to introduce innovation to a traditional business model such as of the CEBIT, with its own culture and established communication practices but it was necessary. Bits & Pretzels event was founded by two start-up founders who identified a gap in the market that only Berlin was associated with the start-up scene in Germany. But things were also moving and happening in Munich in the start-up scene so they saw an opportunity. They started the event with 80 people and within two years it grew to 2,000 attendees. From then on they decided to operate as an event team and hired event professionals. Now they have four full time employees. To compare, CEBIT has 100 employees and attracts around 220,000 attendees. For comparison with Web Summit that attracts around 80,000 attendees. Both events are different but at the same time also competing events. While behind CEBIT there is a lot of know-how and capital, Bits & Pretzels bears the risks and rewards of a new start-up. The advantage for them is that they can respond fast, experiment and don’t let to the pressure from sponsors influence their decision making process. It’s rewarding at times but there is never the guarantee that all will work out. When attendees attend different events they will give feedback what they liked at competing events. Is it necessary, for organisers, to add the elements to their events similar to competitors? While event organisers look at what others are doing, copy paste doesn’t work in our industry. The concepts might be the same, but the destinations where the events take place are not. Attendees will not have the same experience as they will have in Munich, Lisbon or Hannover. Organisers need to know what the target audience wants because copying will be not authentic and it doesn’t work. For CEBIT, innovation wasn’t just about a new logo and date. Innovation is how you communicate and work in team to engage all the partners. They work closely with the clients for example to conduct workshops and together develop new concepts, formats and ideas. Bits & Pretzels on the other hand, knows their target audience and guides their clients/ sponsors how to communicate with them. End of September 2017 Kevin Spacey joined as the fourth partner on board. In November, following the allegations against him, they announced that he will not represent the conference as their ambassador anymore. This situation was unfortunate for the founders, but sh*t happens as we know and it’s part of the game. Nevertheless the founders of Bits & Pretzels should be celebrated. At CEBIT, for example, there will be networking nights where founders will share their failure stories. We learn from failure. At BoE organisers determine the theme and key topics but the speakers can choose the format that they want to deliver the session ( Fishbowl, unconference etc.). There is also some free time between content sessions to encourage networking as well as an entertainment element. For CEBIT, business must be fun and evoke emotions. Have you asked yourself when was the last time that you closed a deal? Was it perhaps during an informal gathering? Business environment has evolved over the past years so the organisers should be clever how they create the right environment to facilitate business transactions. No one will pay to attend an event just to have fun. To conclude, the success of an event is determined not only by having a good conference programme and good exhibitors. Visitors and their engagement with the event are key to a successful event product. Their interaction with each other is what they will take home with them in the end of the day. You can watch the full video from the talk in English or German on ITB MICE Forum 2018 You Tube channel. I like your article about the event experiences. I think it will become more and more important to involve participants, as you write it in the article. I am curious when the welcoming speeches will die out. Give the event a theme: in any case – leave the experience of the theme to the visitor: very good! Because only if I experience it, it has a lasting effect and I can take something with me from the event. A very interesting topic which you have taken up. Thank you Valerie for your great feedback and insights. Indeed I agree that it’s all about taking home these personal experiences from an event. Each attendee wants to fulfil deeper needs when attending the event, and when organisers get this right it’s a win win for everyone! !